"Sometimes I'll put on something and listen to it over and over again," she tells the publication. "I have to start giving myself over to whatever it is that's in charge of performances – the performance spirit or whatever the f**k it is. I don't know, because it's not really me." And she admits that when she's truly ready for a show, she always has a very special moment onstage. "I always feels like there's some sacred ground on the stage," she adds. "It may be part of the performance itself, where you're at odds with yourself sometimes. But I wouldn't say all the time that I'm totally comfortable. It's almost in the anger at that and the pushing through and the sort of 'f**k you' to myself that the performance comes out." 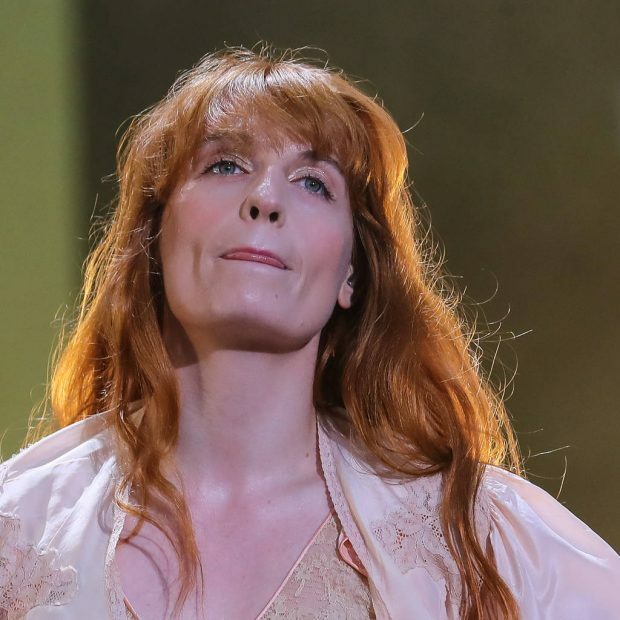 But Florence isn't always safe onstage when she zones out, like the time she jumped offstage during a performance at the Coachella festival in California in 2015 and broke her foot. "I had suddenly become self-conscious," Welch recalls. "I'd just taken my shirt off in front of a bazillion people, and I realized that I'd done that. I remember thinking, 'Oh, my God, what the f**k?' When you're in the trance and you go with it, you're like, 'Everyone take your clothes off', and you're with everybody. But in that act, I suddenly… (said to myself), 'Oh my God, I just realized that I took my top off in front of all these people. I'm not supposed to do that'. "I became self-aware for one second, and I was like, 'I have to get off this stage because all these people can see me', so I threw myself off the stage, but in a self-conscious way that hurt me, because I'm back in the physical. It was like I suddenly became clunky. When you're in the almost out-of-body space, you're usually pretty safe because you're doing things in such a fluid way that you won't hurt yourself."